Allwell Solutions provide high professional typesetting services to publishers. We have been to the forefront of technological developments in the industry, including XML-driven workflows. We have produced STM journals, legal documentation, trade publications and books that encompass a wide range of subject areas (social science, mathematical, educational etc). We work hand-in-hand with clients to select the most appropriate application, based on suitability, cost and repurposing requirements. Our professional proofreaders are ensure the content is absolutely error-free and in perfect layout and formatting before it goes to print. To ensure this, we work closely with the author, associate, or publisher in identifying even the minutest of discrepancies and errors that might have crept into the process of digital pre-press and typesetting. Right from proof reading the manuscript to the final delivery, we handle it all in the most effective manner. We are specialties in typesetting includes educational, medical, technical accounting books, with all multilingual languages. Our composition and typesetting services are designed to deliver cost-effective quality content delivery solutions. We can accept a range of source material from hardcopy to edited electronic files. Journals: Scientific, Mathematics, technical, medical, educational, humanities and social science. Books: Scientific, technical, medical, academic, novel and fiction. Special volumes: Encyclopedia, dictionary, catalogue, directory etc. QuarkXPress has been a favorite for heavily-designed material. It brings a large degree of colour control to the desktop computer. 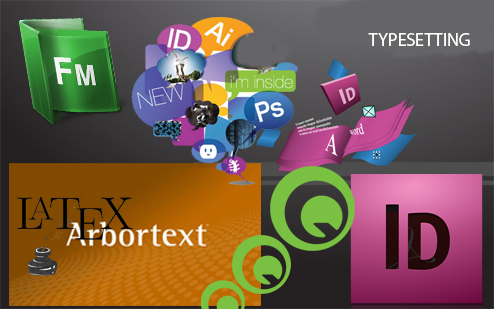 It is considered by many to be a leader in desktop publishing applications. InDesign was positioned as a higher-end alternative and successor to Adobe’s own PageMaker. 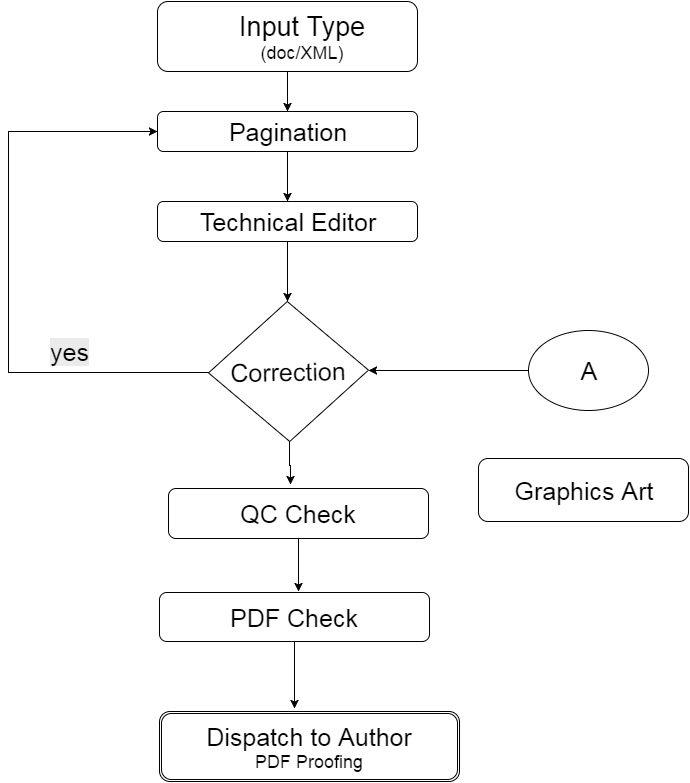 It enables multi-format publishing, including print-to-web workflows, by exporting InDesign content as XHTML. FrameMaker allows us to produce high volumes of social science, arts and humanities books through its very user-friendly environment and direct compatibility with word processing and image formats. The XML compatibility now available in FrameMaker allows the product to extend its range.